Kind of obsessed with this look. 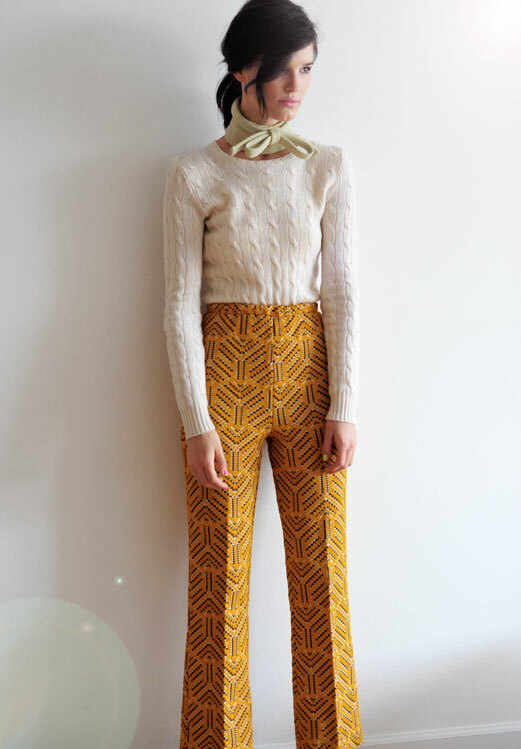 That Miu Miu neck tie is too sweet for words and the cream cable knit paired with those very 70s-looking trousers make for, oddly enough, a seriously refreshing look. The fact that Hanneli looks like a live doll doesn't hurt either. oh dear god she's too hot. she totally looks like a doll!! she's stunning. some people and their freak of nature good looks lol! YOu're one of them btw ;) p.s my colleague, steph found a pic of sienna miller today and was saying it reminded her of you! and did i mentin you should ebay this collar?! this look merits obsessive behavious, its that good.